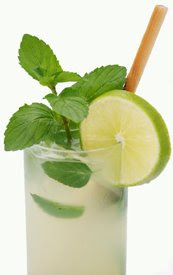 Grow your own Mojito Mint plant on the back patio and mix this masterpiece of a beverage at your next party. An absolute MUST for this summer's weekend BBQ get-togethers. Everyone will rave about them! Nothing is better than using your own garden veggies and herbs to whip something up in the kitchen! 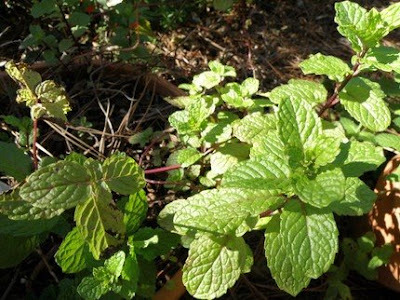 The Mojito Mint plant is extremely easy to care for. Simply plant it in a container of choice and set it on your back patio or deck. Make sure that the container has a drainage hole. Mint likes full sun and lots of water. If you put your mint in the shade, it will grow floppy and the flavor will not be as strong as when you grow it in the sun. Mint is hardy to zone 5 and likes almost any garden soil. It is truly a "no worries" plant! Word of warning: Don't put more than one kind of mint in a pot. If you mix your different kinds of mints up in the same pot, either one mint will smother the rest or they will get so mixed up, it will be difficult to tell them apart. Somewhere between guarapo and granulated sugar, lies simple syrup. Simple syrup is essentially “sugar water” made by dissolving sugar in boiling water. Some people refer to it as mojito simple syrup, but simple syrup has many uses in cocktail making. Simple syrup also makes the mojito with the smoothest texture, as the sugar particles have already been dissolved before assembling the mojito. Bring water and sugar to a low boil and cook for 2-3 minutes until sugar dissolves. Water will appear slightly cloudy, but will become clear as it cools. Cool to room temperature. Store in the refrigerator in a squeeze bottle or airtight container. If properly sealed, the syrup will keep up to 2 weeks. One batch of this syrup will make about 12 mojitos. Muddle lime juice with the mint in the bottom of a long mojito glass (also called a "collins" glass) . Add light rum, simple syrup, and bitters. Fill the glass to the top with ice. Top with club soda. Cover the glass with a shaker tin or transfer the mixture to a shaker and shake for 5-6 seconds. Garnish with lime wedge and a garden fresh mint sprig! Thank you so much for the nice article!